Europa's oceans may be much more similar to Earth’s than previously believed. Jupiter’s moon Europa may not seem like the most promising candidate for life in our Solar System. It has no atmosphere to speak of, for one thing. For another, it’s constantly blasted by a withering hail of radiation. But deep beneath that shell of ice, scientists suspect there is a vast water ocean—perhaps with a greater volume of liquid water than all of Earth’s oceans combined. And now, a new study published in the journal Geophysical Research Letters suggests that the chemical composition of Europa’s immense, global sea might be very similar to Earth’s oceans. In other words, that hydrogen and oxygen would exist in just the right proportions to allow life to form, even in the absence of significant volcanic activity. The study employed methods originally developed to understand energy and nutrient creation and circulation in terrestrial oceans. “The cycling of oxygen and hydrogen in Europa’s ocean will be a major driver for Europa’s ocean chemistry and any life there, just as it is on Earth,” said JPL’s Steve Vance, lead researcher on the study. The study looked at ways in which life would form in the absence of volcanic activity, which is thought to have played a major role in life’s formation on the early Earth. Ultimately, they wanted to see if passive forces could bring about a similar outcome, to see just how “fertile” Europa’s oceans could be—even if Jupiter’s wrenching tidal forces may still generate significant volcanism, as it does with Europa’s sister moon Io. They showed that both Europan and terrestrial oceans have comparable oxygen and hydrogen percentages, with oxygen production surpassing hydrogen generation by about 10 times. 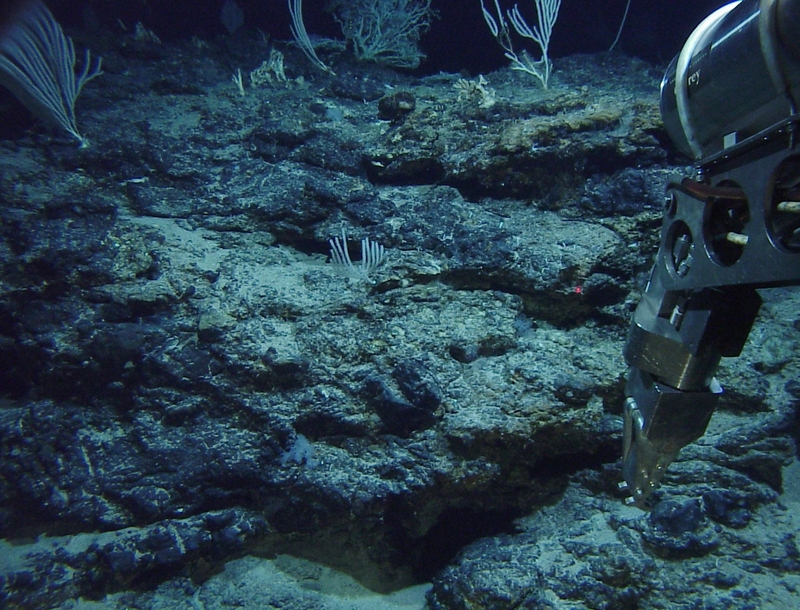 Earth’s oceans create hydrogen through the process of “serpentinization,” an exothermic chemical reaction in which saltwater, seeping through cracks in the Earth’s rocky crust, interacts with minerals to produce heat and hydrogen. The team found that Europa’s seafloor may possess immense fissures that could be as deep as 25 km (15 mi), compared to about 5-6 km (about 4 mi) for such cracks on Earth, and that means an immense area for the serpentinization process to occur. They also modeled oxygen formation in the moon’s seas—a crucial term in life’s equation—and found that Jupiter’s intense radiation likely splits apart water ice molecules in Europa’s icy mantle, with the oxygen then being cycled deep into the interior. “The oxidants from the ice are like the positive terminal of a battery, and the chemicals from the seafloor, called reductants, are like the negative terminal. Whether or not life and biological processes complete the circuit is part of what motivates our exploration of Europa,” explains Kevin Hand, also of JPL and coauthor of the study. So the ingredients are present, or are at least very likely to be; and tidal flexure from Jupiter’s immense gravity almost certainly produces something akin to volcanism and hydrothermal activity on Europa’s seafloor. The stage is set—all that’s need are the actors. To find them, NASA hopes to dispatch a sophisticated probe—equipped with ice-penetrating radar—to the Jovian system in 2020.